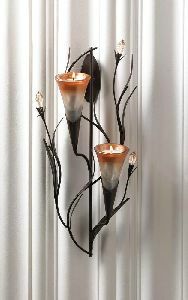 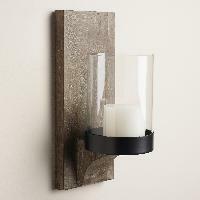 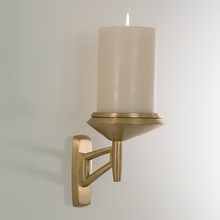 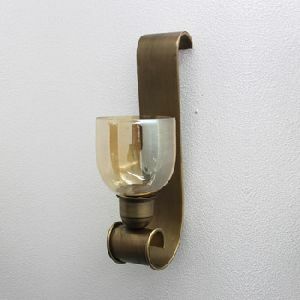 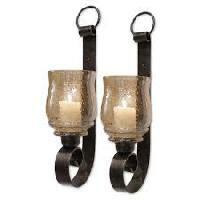 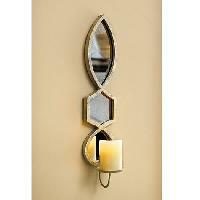 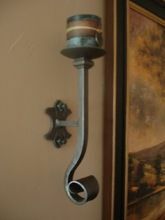 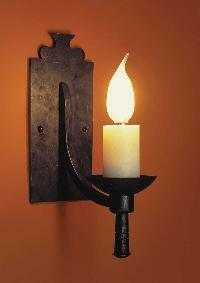 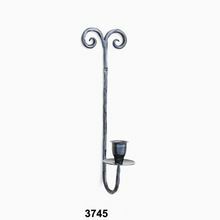 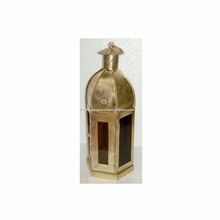 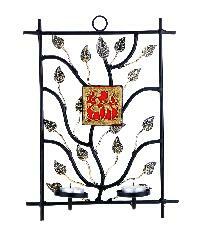 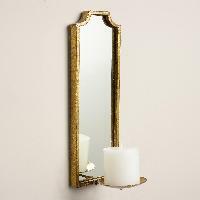 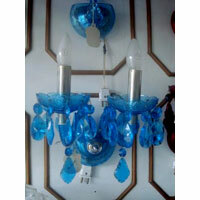 Light your room with shimmering candlelight from this beautiful wall sconce. 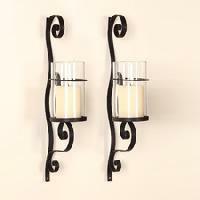 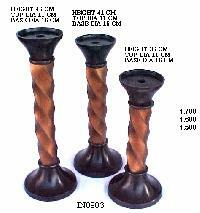 Two glass candle cups await the candles of your choice. 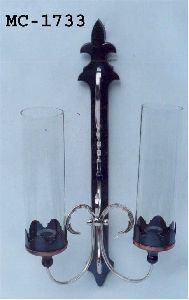 Iron, glass and acrylic. 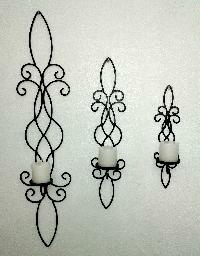 Dimensions: 6?” x 3?” x 15?” high.